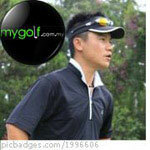 Malaysia Golfing Community :: View topic - Welcome Nippon Golf Tech to MyGolf.com.my! Welcome Nippon Golf Tech to MyGolf.com.my! We are proud to have Nippon Golf Tech on board as 'Friends of MyGolf.com.my'. Their presence here will greatly help members to get the latest information and also responding to any question posted by members related to their business from time to time. Please take note that Nippon Golf Tech has the right to edit or delete without prior notice if the posting deems not fit. Once again, please join me in welcoming Nippon Golf Tech on board!